What are Reptiles? Familiar reptiles like crocodiles, lizards, turtles, and dinosaurs are all amniotes, as are birds and mammals. All amniotes have embryos that develop within a fluid-filled amniotic sac inside a semi-permeable shell, which together cushion and protect the developing embryo. Amniotes have been divided into three groups based on differences in the number and position of openings in the skull behind the eyes, called temporal fenestrae: the Anapsida with no fenestrae, as in turtles; the Synapsida, which lost the upper fenestra, as in mammals and their relatives; and the Diapsida with two fenestrae, as in dinosaurs, birds, and lizards. 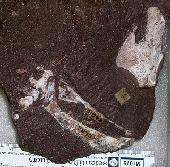 The fossil record of reptiles extends back to the Middle Carboniferous.